October 16, 2013 June 11, 2014 thinkingreallymattersLeave a Comment on Is a standardized data structure useful for Cloud APP Platform? 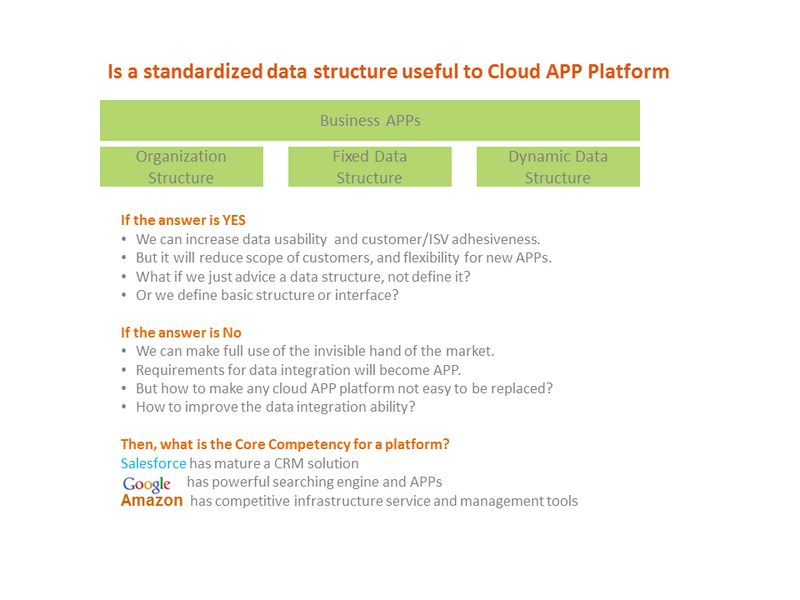 Is a standardized data structure useful for Cloud APP Platform? Today, when working in the office with SAP ECC, suddenly, one question came to my mind that should the Cloud APP Platform define data structure? For example, we have an excellent APP for procurement and another great APP for sales; however, for departments that have sales from procurement, business management, financial accounting and reporting can draw data from the 2 APPS only if they have similar definition for data structure, for example, about finished goods or raw materials.